Live & Learn! 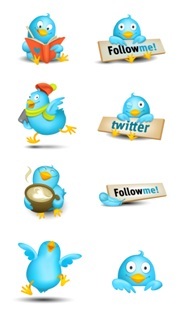 : 5 Reasons for Educators to Join Twitter Today! 5 Reasons for Educators to Join Twitter Today! When my husband joined the Twitter world, I have to admit, I just didn't get it at first. I thought it was just another thing to do and I didn't have the" time to spare". Over time, as I watched him tweet, I saw he was excited about what he was learning and that he was connecting with teachers all around the world. Gradually, it dawned on me that this was more than social networking, this was building connections in an online professional community. I found I was peeking over his shoulder learning through his PLN. With both of us being teachers, we often discuss pedagogy and share what we are working on with our students. He was encouraging me and other educators to join Twitter; stating that since you created your own PLN, it catered to your professional interests and needs. Decisively, I conceded that this Twitter world was something I needed to look into; it was time to build my own PLN. The staff at my school are working in a PLC (Professional Learning Community) with teams of teachers across several schools, subject areas and grade levels. I've found this process amazing in bringing together teachers to help share ideas, curriculum, and continuously raise the bar of excellence in teaching and learning. Everyone is taking responsibility for every student's learning! I began to make the connection that a professional Twitter PLN is an extension of my school's PLC. 1. Twitter is like Team Teaching: if there is something you want to learn more about, all you need to do is tweet your question or browse and you will get the most amazing answers- fast! It allows you to feel connected and have conversations with other educators around the world. I am thankful to the amazing @cybraryman1 for his generous sharing of all his pages. I have used his resources and cited him in workshops and newsletters. 2. Twitter Connects you to Teacher Blogs: I love reading blogs and when I see a tweet of something that a teacher is doing, I will tweet them and ask if they are blogging about it so I can learn more. I have met many incredible teachers who are doing amazing projects with their students all over the world. Thank you @tashacowdy @hechternacht @klbeasley @jplaman @heza @whatedsaid @Louisephinney @markbrumley @happycampergirl @mscofino @coolcatteacher @jessievaz12 @cfrehlichteach and so many others for the amazing blog posts and for sharing your expertise. Click on their Twitter name and you will find a link to their blog. I look forward to reading more Twitter Education Blogs from more Twitter Educators! 3. Twitter Connects you to Professional Reading: I enjoy the professional and global reading put together by a variety of Twitter users from @Scoopit and @Paper.li. You can create your own magazines which update daily with Zite and Flipboard on your ipad. It is quick learning at your fingertips to enjoy on a small break or with your morning coffee. 4. Twitter Connects you to 21st Century Learning and Digital Citizenship: I have to admit, keeping up with changing technology is a fast paced race. Thanks to Twitter and connecting with similar teachers around the world, I am able to focus my technology learning curve towards relevant and useful projects for students across many grade levels. Just this past two months, I have learned to blog, tweet, about a variety of different eportfolios and a plethora of digital literacy projects such as Storybird. I'm enjoying learning something new everyday to share with students, staff and parents! 5. Twitter Connects you to Conferences: From reading on Twitter, I learn about what Educational Conferences are taking place all around the world. Recently, I participated in the online Global Education Conference 2011 and I've found a list of eLearning Conferences 2012. Thanks Twitter, because to teach is not to know it all; it is to keep on learning. Guess I'll have to take my husband's advice a little more seriously! I feel I need to drop some lines here in order to say that I completely agree with your thoughts. Twitter has broken the walls that used to keep me inside my classroom. I feel connected and supported. Information comes fast and precisely. I`ve grown a lot as a professional since I decided to join twitter.